Presenting the Onyx bouquet by Haute Florist, exquisite floral artistry hand tied by our professional florists. 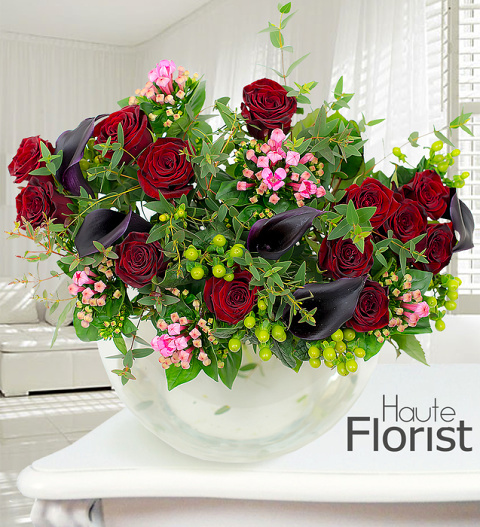 With beautiful velvet grand prix roses, calla lilies and bouvardia, the arrangement makes a clear statement. The bouquet is hand tied and presented in a luxury wrap and bag. Haute Florist serves those special occasions, pleasing is an art and available for UK next day delivery.